Budget begone! We’re taking a look at the whiskies we would buy if money was no object. Call it a fantasy wishlist, we call it dreaming big. How big you ask? The average price for this list is right around the $30,000 range and the average age is 50 years. Grab your finest Glencairn and hide your wallet because we’re jumping into the deep end. 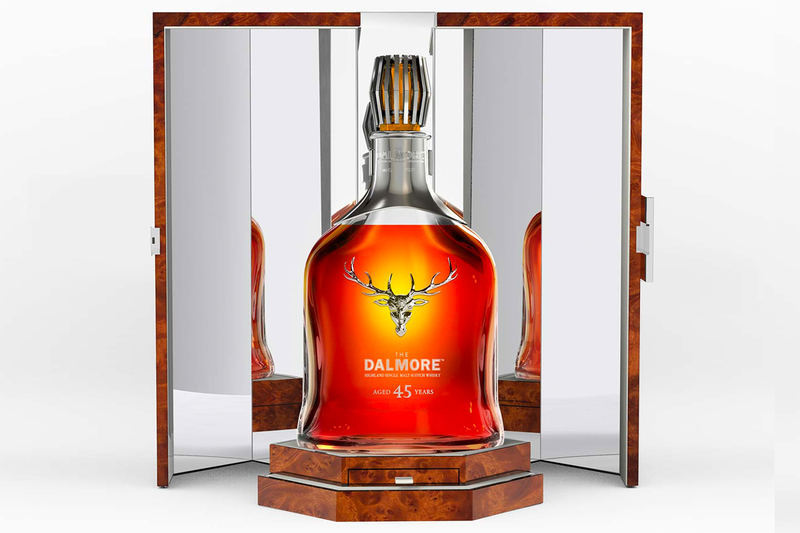 Starting with the youngest—and cheapest—of the bunch, this single malt was crafted by Dalmore master distiller Richard Paterson over the course of 45 years. It initially aged in American ex-bourbon barrels before being transferred into two different vintage Graham’s Port Colheita pipes dated from 1961 and 1963. The whisky was then married and bottled at 40% ABV. It comes in a hand-blown decanter, made by the distinguished French crystal house, Baccarat. Only 500 bottles are available globally beginning in April 2018 at an SRP of £10,000 ($12,500 USD). It might be the second cheapest on our list, but by no means is it easier to find than some of our more expensive scotch options. This 50-year-old single malt was distilled in 1964 and is a bottling of two sherry-seasoned Spanish hogshead casks. These two hogshead casks sat side by side for nearly five decades, but when it came time to marry them at the brand’s warehouse in Glasgow, they had to solve a very real problem. The two casks were so rare and so valuable that sending them on the same ship to the mainland was out of the question. Instead, each cask was sent on a separate ship; one in September, and the other in October of 2009. Once they both arrived safely, the casks were married and a bit of leftover liquid from Highland Park’s 2010 50-year-old release was added to the final mixture. 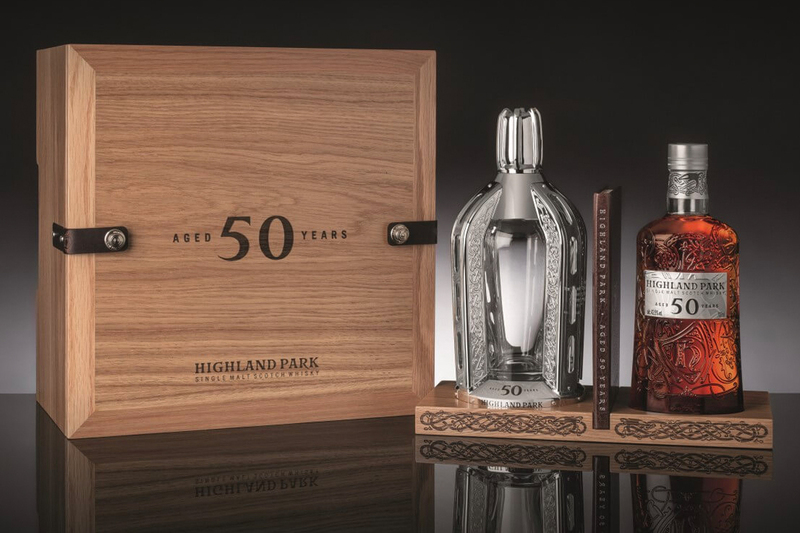 Each decorative glass bottle is numbered and signed by Highland Park whisky maker Max McFarlane. It comes in an oak box and also features a crystal decanter and brown leather book. It is bottled without chill-filtration or added color at 42.5% ABV. Only 274 bottles are available as of September 2018, with a mere 77 available in the US. SRP $15,000. Crafted by master blender Jim Beveridge, this release is a blend of rare whiskies from six different distilleries that existed during the lifetime of John Walker (1805-1857), the founder of Johnnie Walker. Five of those distilleries are now closed. Additionally, each whisky is aged a minimum of 50 years. The single malt distilleries used are Glen Albyn, Glenury Royal and Blair Athol (still open). As for the single grain, Caledonian, Cambus and Port Dundas were selected. The bespoke cask made to marry the whiskies was crafted from 100 year-old staves. 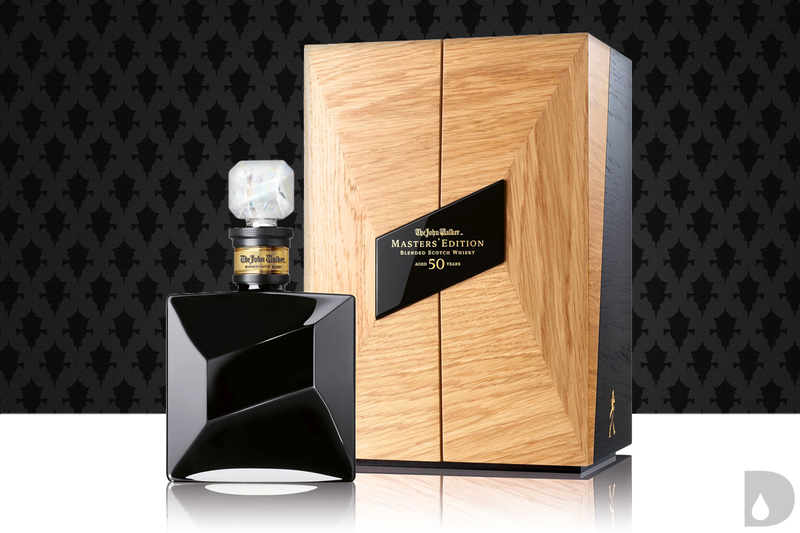 Each bottle is hand-numbered and presented in a black Baccarat decanter housed in a cabinet made by N.E.J. Stevenson, Cabinet Makers by Appointment to Her Majesty The Queen. Only 100 bottles are available as of October 2018 in select markets. SRP $25,000. 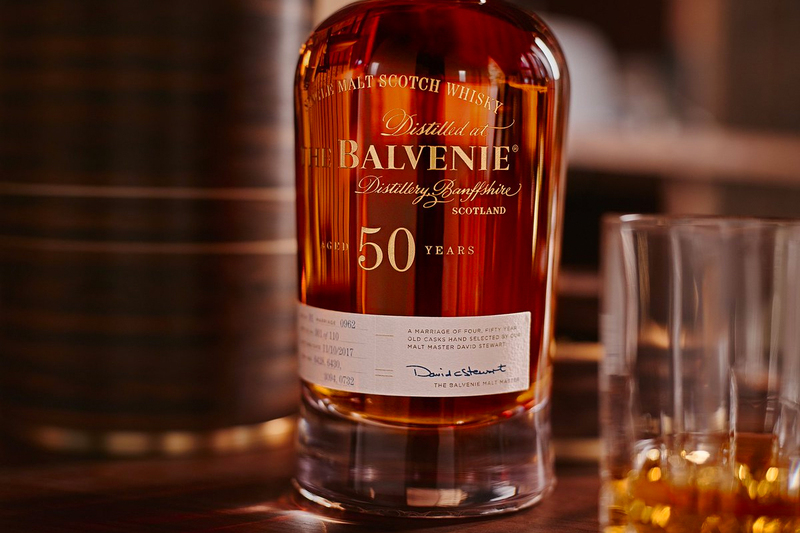 This single malt whisky was drawn from a marriage of two 50-year-old casks that were distilled in the 1950s. Blended by Glenfiddich malt master Brian Kinsman, the whisky spent a final six months in an American oak barrel. Each bottle is hand-blown, numbered in wax, and decorated with Scottish silver. 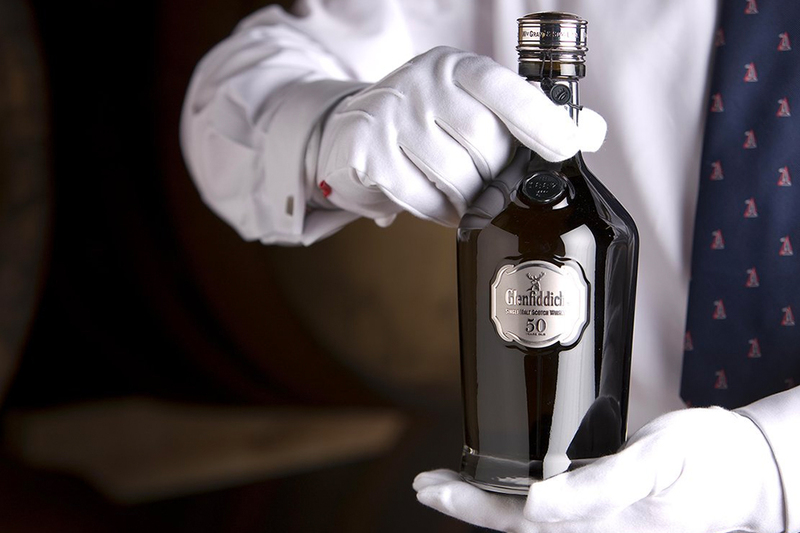 Only 50 bottles are released each year at an SRP of £22,975.00 ($28,900 USD). 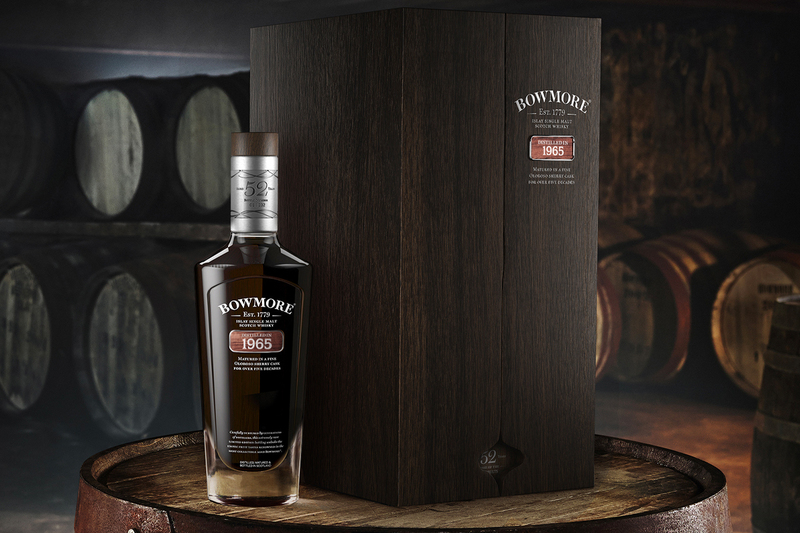 This release marks the fourth expression in Bowmore’s 50 Year Old Vaults Series. A testament to its age, this single malt was distilled in 1965 in the then-new steam-heated stills. It was then aged for 52 years in Oloroso sherry casks. Only 232 bottles are available as of December 2018 at an SRP of $30,000. Produced by Balvenie malt master David Stewart, Marriage 0962 is comprised of whisky sourced from four American oak casks that aged for at least 50 years. Additionally, the number 09-62 corresponds to the month and year Stewart began working with William Grant & Sons. The bottle comes in a tube made of 50 layers (48 walnut, 2 brass) and includes an etched brass certificate and bottle glorifier. SRP £27,500 ($34,600 USD). This bottling officially marks the most expensive scotch on our list and the oldest offering to date from The Macallan. This 72-year-old single malt was distilled shortly after the end of World War II in the 1940s. Because whisky in Scotland evaporates at around 2% annually—meaning the average cask would dry out at 50 years—it’s remarkable to even have a barrel reach this age. 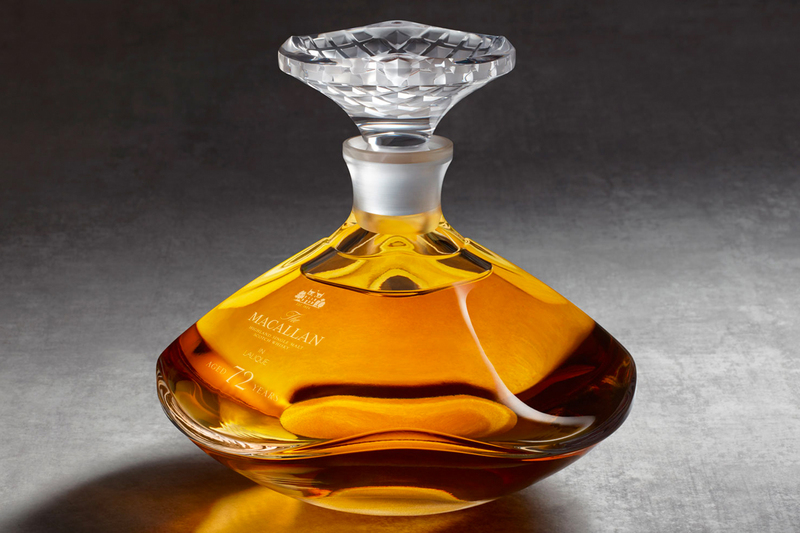 This release comes in one of 600 numbered Lalique decanters—a tribute to the Macallan’s brand new distillery and visitor experience which opened in June 2018. It became available beginning in August 2018 at an SRP of $65,000 in the US. If you really want to get a bang for your buck, this is the pick for you. 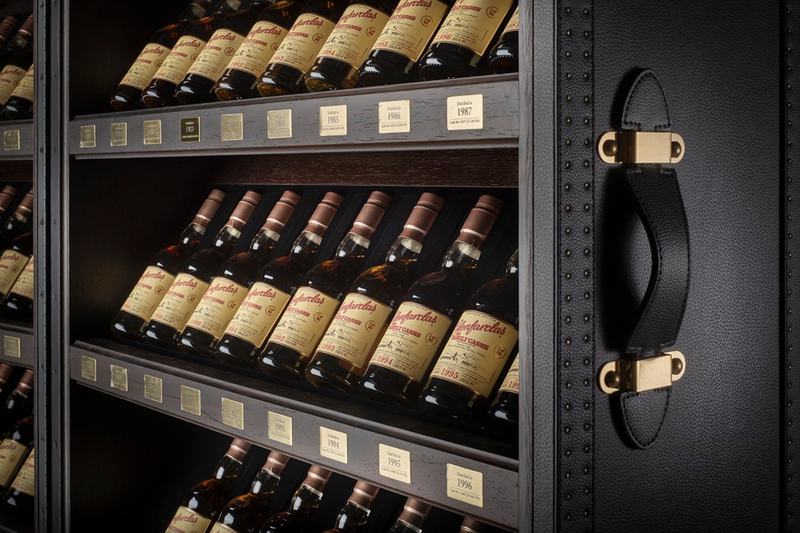 Sold as part of the Glenfarclas’ Family Cask collection, this trunk contains every vintage made by the distillery between 1954 and 2003. In total, it’s 50 200ml bottles for you to enjoy, plus a set of four tumblers, nosing glasses and a water jug, all from Glencairn Crystal. In addition, the trunk comes with four slate coasters and three hand-printed leather books: one with the distillery’s history, one full of master distiller George Grant’s tasting notes for the vintages, and a book for your personal tasting notes. Only 60 trunks are available globally as of December 2018 at an SRP of £100,000 ($125,800 USD). And there you have it! Now you know exactly which expensive scotch whiskies to ask your eccentric millionaire friends for this holiday season. And if you are an eccentric millionaire, feel free to send us a sample so we can add our own Tasting Table review.